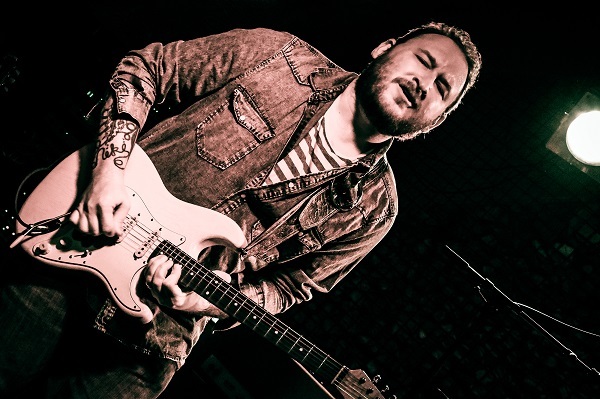 The Guitar Sanctuary and Two-Rock Amplifiers are proud to present Josh Smith with special guest The Quinten Hope Band at The Sanctuary Music & Events Center on Saturday June 16th at 8pm (doors open at 7pm). Josh Smith was born October 7, 1979 In Middletown, Connecticut. Before he was 1, his family relocated to Florida, eventually settling In Pembroke Pines, a suburb of Fort Lauderdale. At age 3, he received his first guitar and at 6, he started taking guitar lessons. After releasing 4 solo albums from the ages of 14-21 and touring Nationally to support them, Josh moved to Los Angeles in 2002. Within a year of moving to L.A., he was retained by Virgin Recording artist Ricky Fante. He played Nationally and Internationally with Ricky for the next two years. was once again well received by Blueswax and Blues Revue Magazine. In January 2007, Josh was hired by 2006 American Idol winner Taylor Hicks to be his lead guitarist. variety of genres that was once again well received by the public and critics alike. Up On Me,” Was Released In Germany. Joe Bonamassa, Charlie Musselwhite and Kirk Fletcher. Josh continues to live in the Los Angeles area with his Wife and two children.